I’m always working on some project or another, which means I often have FOs and new designs to share. You can see all my FOs … here … and all my designs … here. 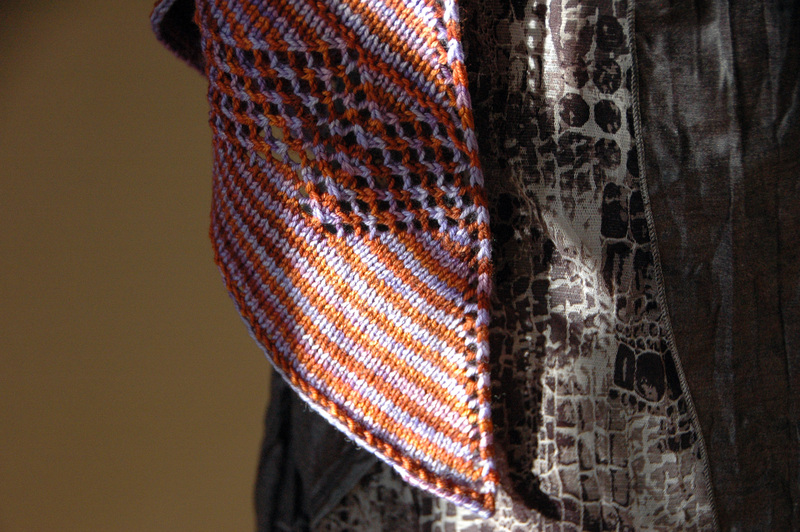 Pattern: It’s my own pattern, but it doesn’t have a name yet. If you have a suggestion, let me know. If you’d like more FO Friday posts from other bloggers, visit Tami’s blog. It looks really pretty. I like the yarn colors a lot. Thanks! I loved knitting it. 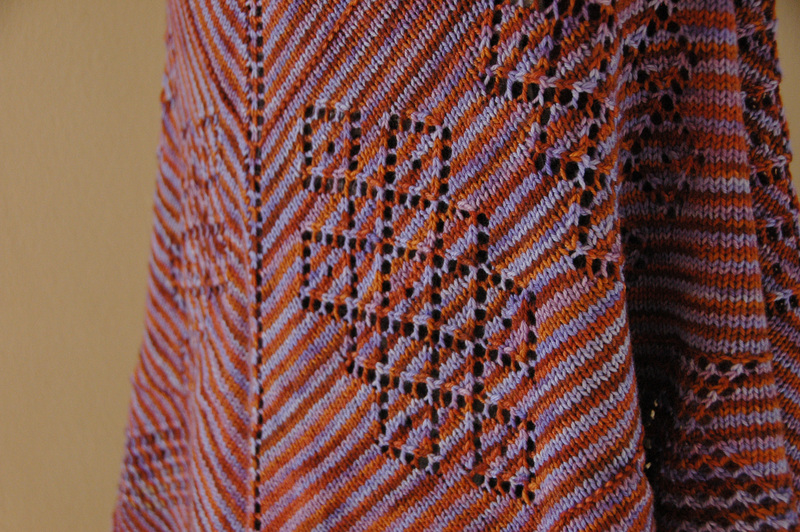 That’s an interesting shawl! Good colors. Thanks. The colors play even better off each other in real life. I love that. And it’s big! I love a big shawl that actually keeps you warm. Well done! Thanks! 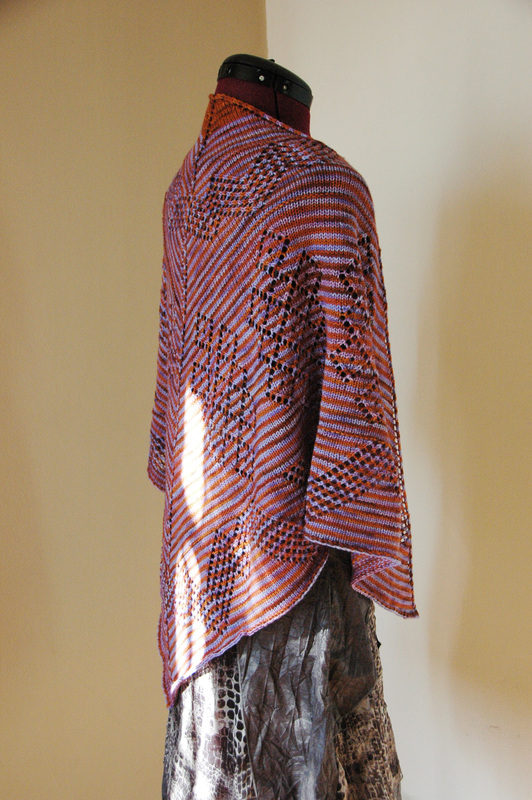 I love large shawls, small ones are great for sometimes, but most of the time I just find them too hard to wear. How beautiful! 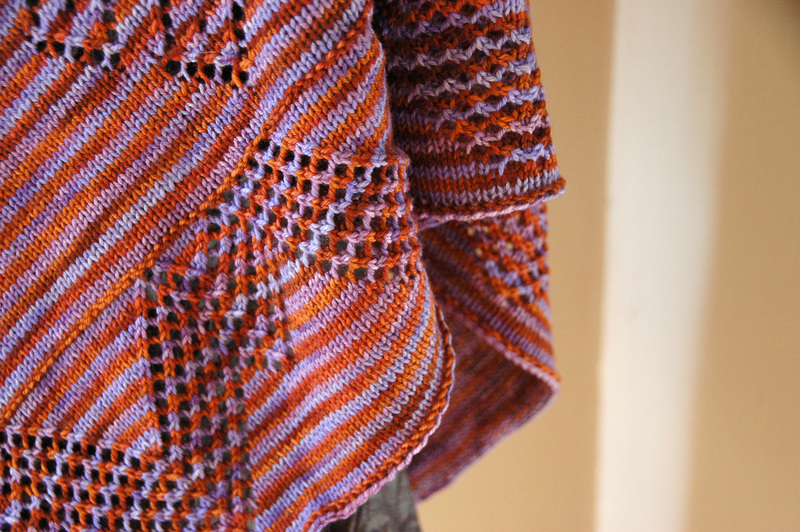 I love striped shawls, but rarely see them with lace. This is a perfect combo! Thank you. I love working stripes and lace together. 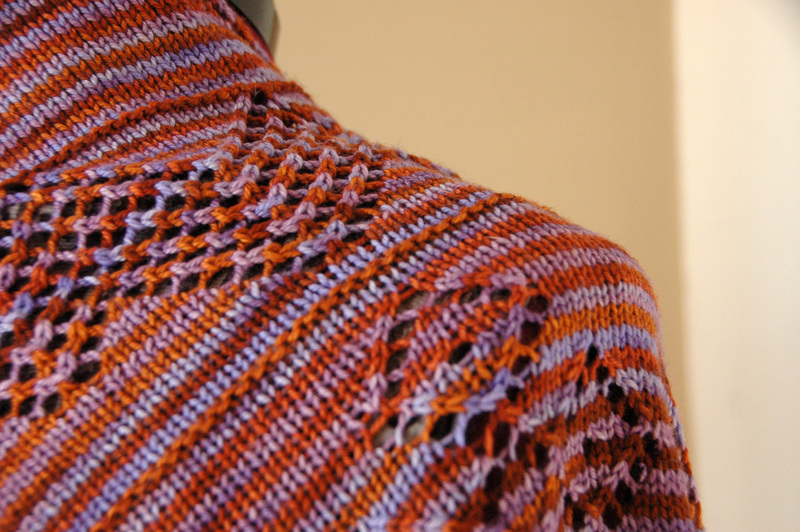 The colorwork really adds a lot to the lace (IMHO). How about ‘Diagonal Hopscotch’ for a name? 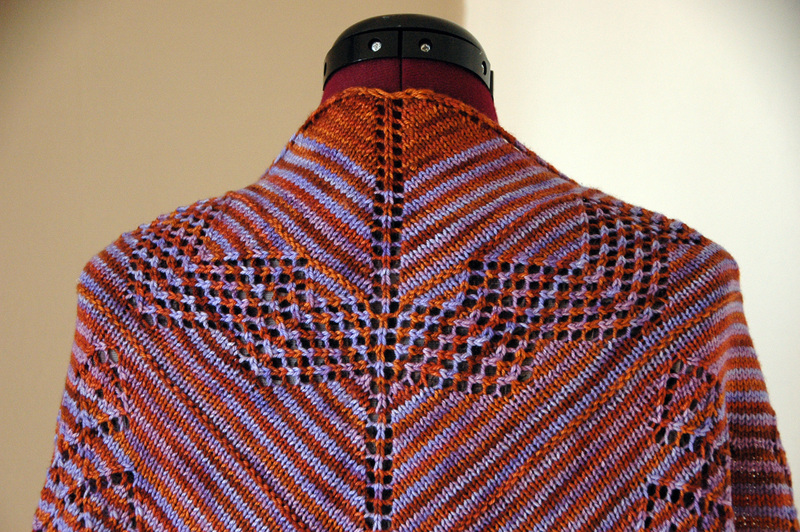 Part of the pattern looks like the old childs game, but diagonally 🙂 It is a lovely big shawl! Thanks for the name suggestion. 😀 I’ll keep it in mind.